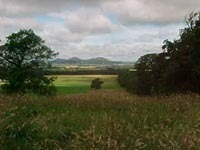 St Cuthbert's Way - Melrose to Harestanes. This section is 26 kilometres in length and has a maximum ascent of 450 metres. 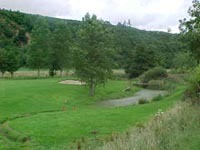 The route at the start is certainly not the most direct but takes in many beautiful paths along the meandering River Tweed. 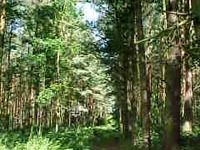 This section has several stopping off points on the route but be aware the walk requires in excess of 5 hours. So plan a full day if you want to have any diversions. 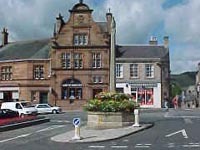 Leave from the gates of Melrose Abbey and walk directly into the Town Square. 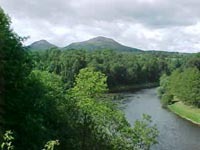 The Eildon Hills are perhaps one of the most recognised Scottish Border landmarks and the walk takes you over the saddle between the North and Mid Hills. 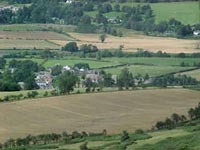 From here you can see back to Melrose and the Abbey or forward to the Cheviots and the area of walking for the next two to three days. Bowden is a small village to the south of the Eildons with wide open views over the Cheviots. This might be a welcomed first stop for refreshments. The Parish Church is a few metres off the route but worth visiting by those interested in historic locations. 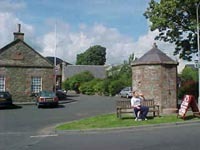 The route passes by the Bowden Burn through Newtown St Boswells to the banks of the Tweed. At the junction of the Bowden Burn and the Tweed take to the right up a set of steps. 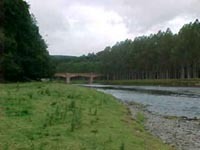 The walk now takes approximately 1.5 to 2 hours along the banks of the Tweed. 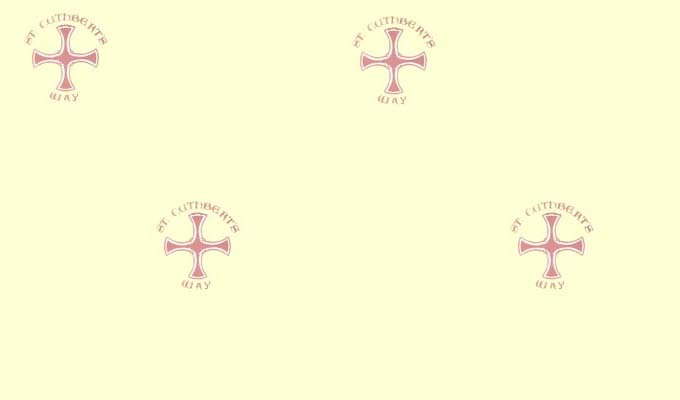 The section from Newtown St Boswells till the Dryburgh Chain Bridge, a pedestrian bridge that crosses the River Tweed, is common to both St Cuthbert's Way and the Borders Abbeys Way. 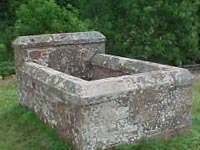 In this River section you pass through the charming village of St Boswells, where refreshments could be most welcome, and then leaves the Tweed valley at the village church of Maxton. A little road work is now required before joining a road of a much earlier vintage, that of "Dere Street", the Famous Roman road running north from York to the River Forth. Roman roads are noted for their straightness, and in both directions from Lilliard's Stone the tree line verifies this fact. This whole area is noted for the constant skirmishes between the Scots and the English in the middle ages. An example is the Battle of Ancrum Moor (1545) from which comes the reason for the sad death of a local lass called Lilliard. And when her legs were cuttit off, she fought upon her stumps. The route descends towards the Teviot Valley along "Dere Street". 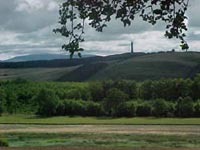 On the left is Peniel Heugh with the Waterloo Monument built in 1815 commanding a promanent position from miles around. 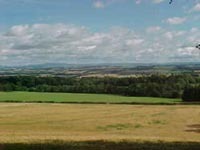 On the right in the distance is Rubers Law close to the town of Hawick. The days walk is reaching its end as you enter woodlands, these forming part of the Harestanes visitor and nature centre. 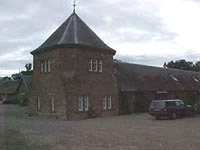 Although there is little housing in the immediate area, the village of Ancrum is only a short walk away and the Town of Jedburgh is only two miles south on the A68.